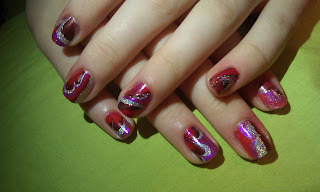 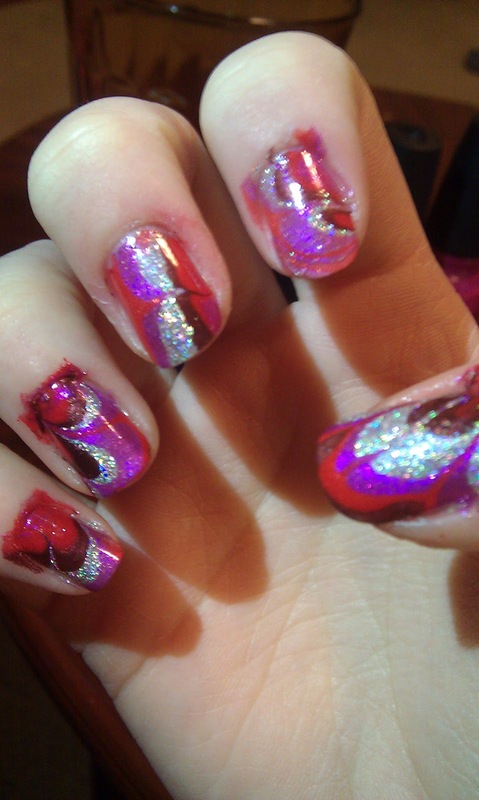 Today I decided to post pics of a water marble I did a while back. This color combo is every "enchanted" hence the name in the tutorial I made. Watch the video on youtube of how I made this design. I applied a base of Milani HD which is their silver holo. 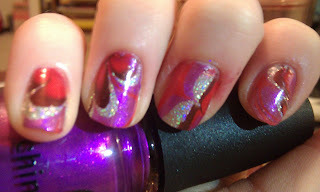 I also included this color into the water marble so the background becomes opaque. 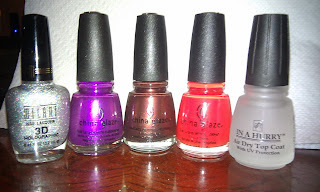 The design includes China Glaze's , Senorita Bonita (purple), Unplugged (brown) and Pure Torture (Orange). I am just loving this color combination! 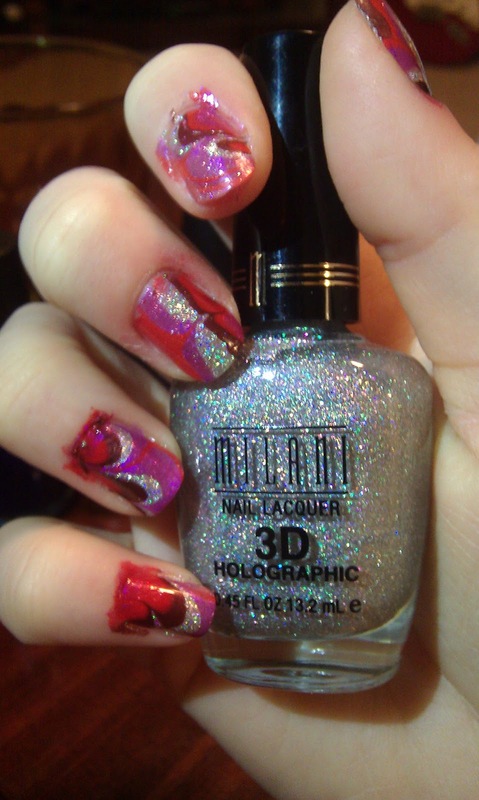 The colors are perfect for fall and the Holo gives it the extra touch that makes it pop!